iSo, there is hope for all those in the #friendzone – here we have a timeline of a story of a smitten man and budding rapper who fell head over heels for a young Barbadian singer who we would one day know as Bad Gal Riri. But she was involved with an abusive relationship and then went into flirtatious flings with fellow colleagues. 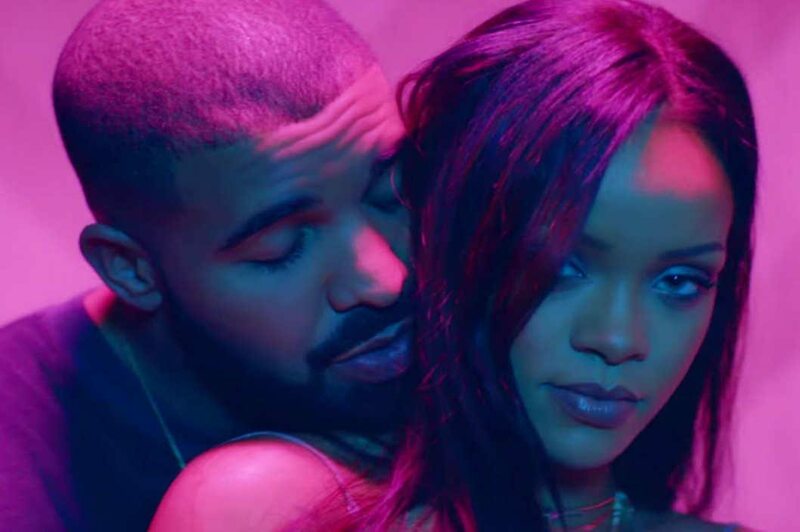 Several hit collaborations later and a “moment” they shared together years ago, the world can now breathe a sigh of relief as we can confirm that in fact Rihanna and Drake are together as a couple – finally! If you lived under a rock, or are otherwise blind, deaf and mute, then you wouldn’t have witnessed what has been going on between the two new love birds for the past few months. However, the world saw it all and the only response that can be given is the heart eyes emoji. Since their collaboration together on Rihanna’s single, Work from her album ANTI, they have found every excuse to be together, including making appearances at each other’s concerts. Their open flirting on stage was thought to be just an act to promote their song together, but then things started really heating up and got intense especially at the MTV VMAs this past week. Rihanna seems to have a glass of wine in one hand and a stuffed toy shark in the other – it seems that she and Drake were on a cute date together to visit an ocean park back in his hometown of Toronto, Canada. Observe the toy – it looks like a camouflage shark, doesn’t it? Well, take a look at the next image. Rihanna’s most favorite tattoo artist, Bang Bang posted a pic of Rihanna’s latest ink, one of many she has dotted all over her body – it’s the camo shark again! Dayum, girl! It looks like she’s taking her love to a permanent level and making things really, really official with “best friend” Drake! Rihanna’s Latest Collab: Fenty x Puma Style And Drop Date – Must See! You’re Favorite Track Off ANTI May Be Released Next As A Single.